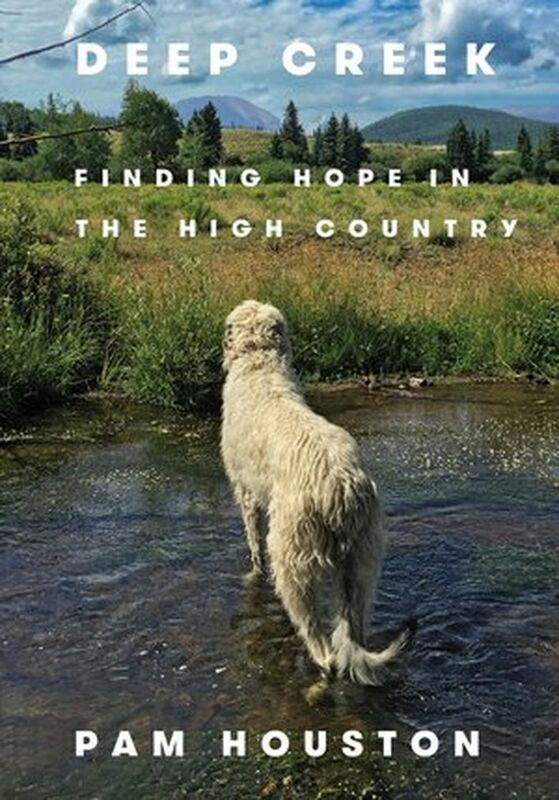 Readers familiar with Pam Houston’s fiction — her exuberant story collection, “Cowboys Are My Weakness,” for example — and her work as a river, hunting and skiing guide, might know she juggles her time now among teaching, author appearances, writing assignments and running a ranch in Colorado at 9,000 feet above sea level. In 1993, she bought 120 acres, paying with pretty much all of the $21,000 advance she earned for “Cowboys,” plus a signed copy of the book inscribed to the woman who took a chance on her for only 5 percent down. Now in her late 50s, it took Houston five years of writing time on top of 25 years of experience to complete this perceptive work. In the early days, she notes, she didn’t even know what the ranch required, much less how to do it. Sweep the chimney? Apply UV treatment to wood? Learn which feed would best nourish her livestock? In addition to two Irish wolfhounds, a feral mouser, two horses, two minidonkeys and varying numbers of chickens, she began raising Icelandic sheep. These last animals allowed her to register the property as agricultural land, which cost 20 times less in taxes. That she could swing a mortgage of several thousand dollars a month on a writing career is a huge accomplishment in itself. But the weeks and months working away from home and the more than 100,000 miles a year she flies to various jobs make her ranch time even more cherished. And living near the small town of Creede, where everyone knows everyone else, teaches her trust, the value of kindness and generosity, as well as allowing herself to accept help. When an elk tangled in barbed-wire fence can’t get up after Houston cuts it loose, she calls the vet, who refers her to someone who can go out into the snow to assess the problem. The cow has snapped her neck and has to be shot. Despite the expense, Houston considers replacing the dangerous wire with wooden fences. One of the memoir’s most engrossing sections describes 2013’s huge West Fork fire. Ignited by lightning, it would join the Windy Pass fire and Papoose fire, threatening the ranch as it burned more than 109,000 acres. Houston’s dramatic account of this includes terms she learned about fire behavior and firefighting methods, helping readers appreciate the immense threat in times of drought. In a bit of a detour, another section recounts the loving affection of her nanny, Martha Washington, as well as some of her many travels, including a cruise to see white “spirit bears” along Vancouver Island in British Columbia and down the east side of Baffin Island, where the ship encounters hundreds of migrating narwhals.